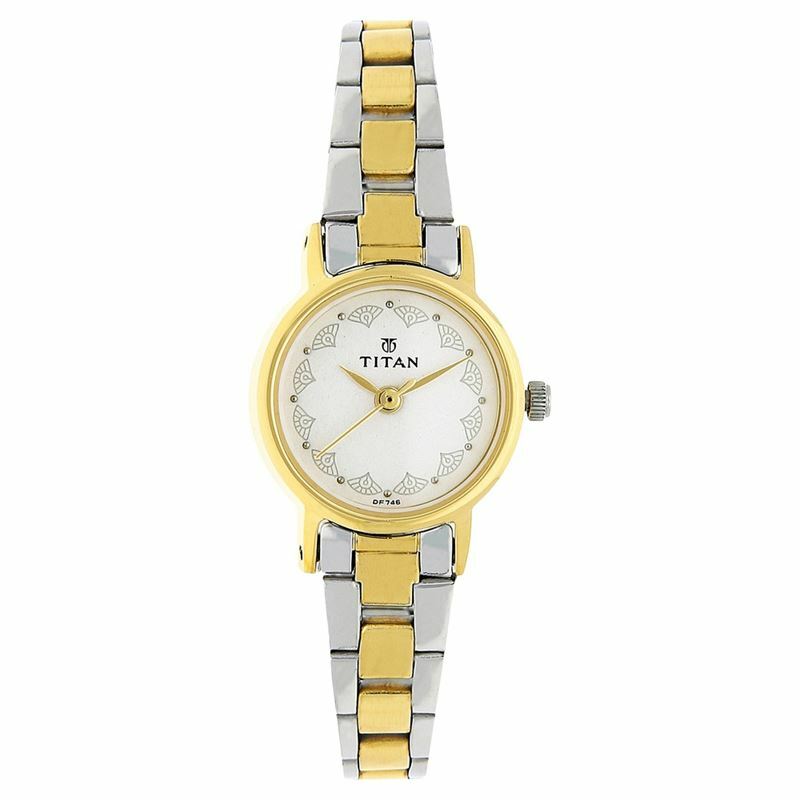 This analog watch for women features a pearlised white dial with plain three hands enclosed within a round brass case. The dial has a design pattern and has dotted markings at every five minute interval for easy time reading. The strap is made of stainless steel and is silver and gold in colour. It is provided with a sliding strap to fasten the watch tightly. The watch runs on quartz mechanism and is water resistant for up to 3 ATM. A silver crown on the side helps you to adjust the time.